Wastewater pump / for chemicals / with electric motor / diaphragm - GB series - Ligao Pump Technology Co., Ltd.
Hydraulics - Pneumatics > Pump > Wastewater pump > Ligao Pump Technology Co., Ltd. Stand: Ligao Pump Technology Co., Ltd.
GB series Ligao Pump Technology Co., Ltd.
GB series mechanical diaphragm metering pumps are robust and reliable motor driven diaphragm metering pumps. 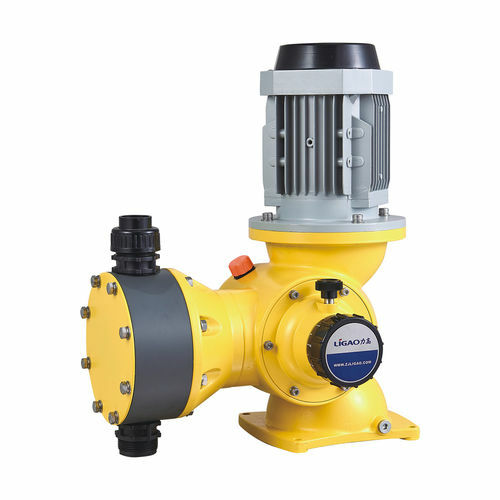 It is heavy-duty and compact designed with high quality performance.The diaphragm is five-layer composite PTFE diaphragm with reinforced plate at the back.It is a reliable pump benefits long-term cost.The stroke length can be adjusted to alter capacity of this pump. Both stroke length and stroke speed can be adjusted to alter capacity.It is an ideal pump for chemical tranfer in water treatment applications.